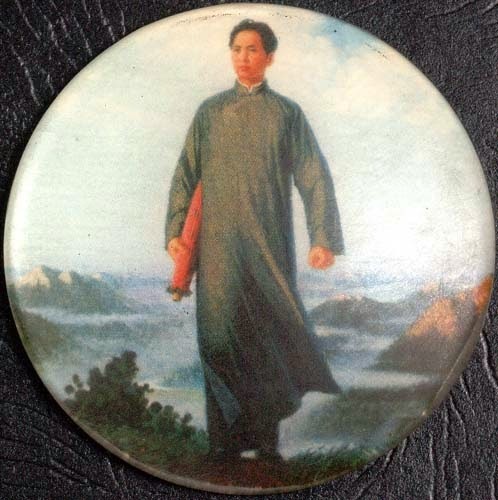 Chinese martial arts – in particular the Daoist internal arts1 of taijiquan, baguazhang and xingyiquan – have long been associated with mythological tales invoking superhuman feats; acts that defy the laws of physics. Such myths are not only incidental to the traditional histories and lineages; sometimes they are deeply wedded to them. It seems that virtually no tale of the exploits of old masters is complete without such supernatural elements. Accordingly it should come as no surprise that the Chinese movie industry is built squarely on “wire fu” – green wires that suspend the actors and stunt men and women so that they can appear to “fly”. 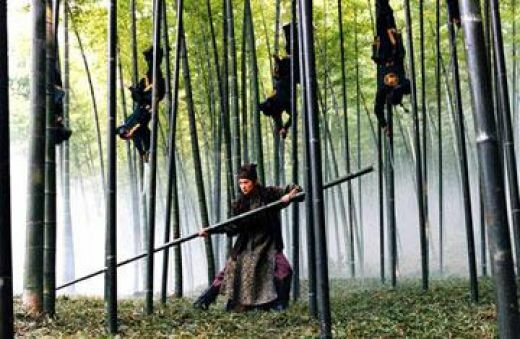 Modern examples include films such as “House of Flying Daggers” and “Crouching Tiger, Hidden Dragon”. A trailer from “Crouching Tiger, Hidden Dragon” – note the taijiquan technique “ji” by Michelle Yeoh at about 1:22. My first introduction to Hong Kong cinema was of this ilk. My parents used to take me down to the local Chinese cinema in Kavieng, New Ireland. There I marvelled at people seemingly leaping onto roof tops. I didn’t know that they were using wires and trampolines or alternatively jumping down and then reversing the footage. 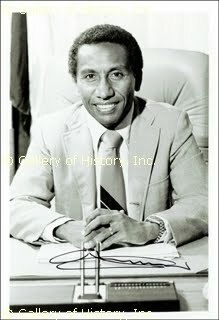 The myth was further compounded when family friend and frequent house guest, the part-Chinese Julius Chan (who would go on to be knighted by the Queen and become prime minister of Papua New Guinea), would regale me with stories of how gong fu practitioners developed their gravity-defying skills: He told me they would jump up and down with lead weights around their ankles until they could reach as high as they normally could without the weights. Then the weights were removed – and presto, they could “jump as high as telephone poles”. I quite fancied the idea of being able to jump as high as a telephone pole, so when I heard this story I resolved that I simply had to develop this skill one day. 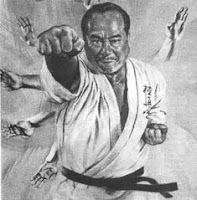 Absurd as it now sounds, it is no exaggeration to say that it was this goal that initially led me to want to study martial arts. 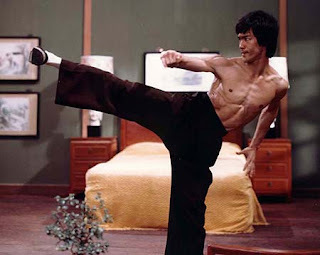 Then there was of course Bruce Lee’s “Fist of Fury” (I still recall how moved I was by the opening scene where Bruce is grieving the death of his teacher and throws himself onto the coffin in the ground, scraping away at the sand in a futile gesture to bring back his master). So I can now appreciate the importance of legend to martial arts; in the pre-information age it was a huge (albeit wildly inaccurate) motivator and source of inspiration. It did so by providing awe and wonder. It was to martial arts what Bruce Lee was in the 70s, what ninjas were in the 80s, what BJJ was in the 90s and what MMA is today. People love a good story – especially one that has an ordinary person acquiring extraordinary skills. And the fact that these skills were said to be within the reach of everyone – provided one was sufficiently dedicated and industrious – was the deciding factor. The extremely far-fetched nature of these legends was not enough to act against them. It seems people are capable of suspending disbelief in favor of what they wish to be true; the greater the wish, the greater the suspension. It seems to me that these variables are in direct proportion. Is there any factual basis to legend? That Chinese martial arts, particularly the internal variety, should become associated with things “mystical” and “supernatural” is not surprising to me. 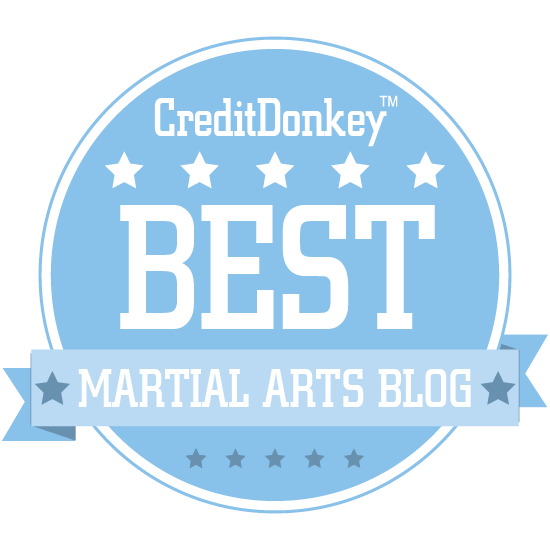 Martial arts practitioners who are highly efficient in movement can appear to the uninitiated, to be defying the laws of physics. Over time, small examples of how, say, an old master managed to best a younger, stronger man (even in push hands or some other controlled environment) are magnified and exaggerated until the story bears no resemblance to the truth. An impressive display of push hands skill by an older man against a younger partner. If you watch carefully you’ll see the younger man attempting to apply a lock or a push, being thwarted (through the sensitivity of the older man) and being thrown as a consequence. It is this sort of subtle skill that might well have been exaggerated into legend over time. Imagine for a moment if an older master of the game of golf – say Jack Nicklaus – were to be transported to China in the pre-modern era, complete with his golf kit. Imagine if he were to assert that he could drive a ball much further than any fit, strong young man. He might accept challengers from all over the country; young men might line up for a chance to knock the ball as far as they could. He could offer them any choice of club, any choice of terrain, any conditions. 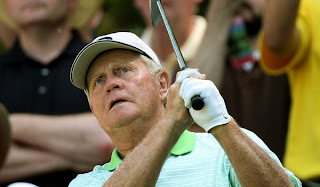 In every case Nicklaus would drive the ball much, much farther, and with far greater accuracy than any of these young men. Imagine now, if you will, that Jack was abruptly removed from this world and returned to the present times. What would be his legacy? Within a decade or so his feats would become legendary. Driving the length of a hole would be doubled, tripled or quadrupled. After a lifetime legend would have him striking birds out of the sky with unerring accuracy. After a couple of hundred years, his prowess would, no doubt, extend to many, many other things besides hitting a ball with a club. If, during Jack’s hypothetical tenure in the ancient China, he had accepted a number of students, they might have continued his tradition. They would certainly have come to understand that the “secret” to Jack’s ability wasn’t some supernatural skill – it was entirely good technique: technique that was efficient enough to drive a small ball much farther than others in that era might have thought possible. As Arthur C Clarke put it: “Any sufficiently advanced technology is indistinguishable from magic.”2 Others deprived of his teaching would labour, mostly fruitlessly, through trial and error at driving the ball a respectable distance. Eventually this trial and error would produce, via convergent evolution, a similar skill set and teaching method. But, doubtlessly, the original feats of Mr Nicklaus in this alternate universe would have become the stuff of myth and legend. these skills are likely to have benefitted some individuals in ways that gave rise to stories of mythical proportions. Indeed, I think this is very much the case. We’ll never know if any of the stories in Chinese folklore about the great masters are even remotely based on fact. I can however say that in my own experience the traditional Chinese fighting systems (including the internal arts) as we know them today are generally founded on sound, efficient and highly effective (albeit “advanced ”) techniques. 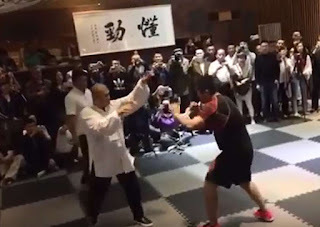 I can readily see how they can confer an advantage to one martial artist against an otherwise evenly-matched opponent – provided the techniques have been sufficiently mastered. While I think the stories of supernatural powers are manifestly false, it’s at least possible that, at some point, they were prompted by a (perhaps small) demonstration of skill that seemed to defy conventional expectation and wisdom in its day. 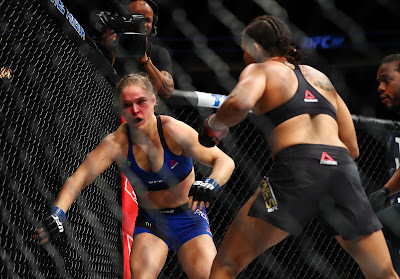 Why this should have happened so often in martial arts but not other disciplines (eg. sports) is not immediately apparent, however I think the nature of the activity in question has something to do with it. While Niedermann is a fictional character, his example does illustrate the truism that in fighting size and strength really matter. We all know this to be true. The same cannot be said of golf or tennis. We know that size and strength matter in these activities, else we would not have separate women’s and men’s competitions. But we still know that they don’t matter nearly as much as they would in fighting. Skill in golf or tennis is far more important. The reverse is true in fighting. Second, comparisons in skill between two competitors are easily made in sports. Sports events such as golf tournaments can be conducted routinely without risk to the competitors. Accordingly the skills will be tested regularly and the performances open to great scrutiny. By contrast, fighting skill is not, and has never been, so amenable to mainstream “testing”. Opponents in a real, no-holds barred, fight face severe injury, disablement or even death. For this reason “real” fighting has generally not been tolerated in the community – certainly not in the way other sports are. Yes, some fighting has been moved into sports such as wrestling and boxing. Today we have MMA style contests which feature a fair amount of realism. But this wasn’t always the case. And as realistic as these fights are (for they are very dangerous and it would be sheer nonsense to describe MMA competitors as anything but highly effective fighters) they cannot be representative of truly “no-rules” civilian and military defence encounters. In civilian defence, even the smallest rules change the dynamics; perhaps subtly, but always significantly. This is not to say that MMA fights aren’t “real” (the punches, kicks, locks etc. are very real!) – just that they are (thankfully) controlled environments with some element of “fairness” (one on one, no weapons, certain techniques disallowed etc.) where the same would not apply to a vicious, calculated civilian or military attack. The net effect of the above 2 points is that the testing of “fighting skill” has necessarily had a more indirect and less voluminous platform than any mainstream sport or other discipline. Some element of hypothesis has always intruded into the testing of fighting skill (eg. “If fighter X could have used his chosen skill, he might have won, but the rules precluded it.”). But, more than anything, skill isn’t easily separated from size and strength (where in a sport like golf or tennis, it usually is). Accordingly in fighting arts/systems there is generally going to be more guesswork about the role of skill and correspondingly fewer occasions for "real" testing of that skill. It is the scarcity of those occasions that makes them susceptible to legend-making. Imagine for a moment how the exploits of John McEnroe and Bjorn Borg might have been amplified if full tennis matches between their era and today had been a rarity! Do legends matter any more? 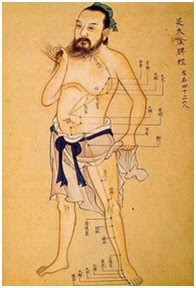 Today fantastical martial legends can be seen as part of the cultural backdrop of the traditional Chinese martial arts. To some extent the same applies to Okinawan and Japanese arts. These stories can be entertaining and even humorous. Indirectly (and unintentionally) they might give us important clues as to when and how the art was formed (eg. references to gunpowder might date the legend at least to a particular period, if not the events themselves). Some legends might even have a kernel of truth. Regardless, I’m not particularly interested in the veracity of such legends. As I’ve indicated, when I speak of the usefulness of traditional Chinese martial knowledge (including that of the internal arts) I’m not talking of some sort of supernatural “qi/chi power” supposedly demonstrated by some master in the distant past (or in the present!). I’m talking about particular (and clearly identifiable) set of body mechanics that manifest in the here and now – simple, yet profound, mechanics that I believe are, in my view, demonstrably geared at increasing your efficiency in applying force to your target (see my forthcoming article "How the internal arts work"). What stops people from applying these mechanics more frequently (be it in civilian defence or in sport)? Part of the answer lies in the fact that they are “hard to learn”. Like a good golf swing, they take a great deal of isolation training and practice – something fighters are often reluctant to undertake, especially when the benefits are not immediately apparent. For more on this topic I invite you to read my article “Advanced techniques”. 1. 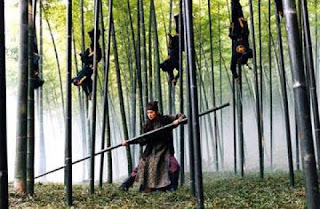 The film “Crouching Tiger, Hidden Dragon” frequently connects the internal arts with supernatural skill. For example, the character played by Michelle Yeoh says to the young masked fighter she is fighting on a rooftop: “You have been trained at Wudang” (the Wudang mountains are the traditional birthplace of the Chinese internal arts). Both Michelle's and Chow Yun Fat's characters are said to have trained there. Later, Michelle's character and the young masked fighter are seen performing footwork that appears to be from baguazhang. 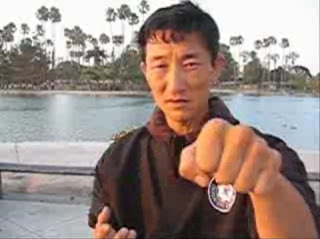 Michelle Yeoh’s "power blow" (see the adjacent image) is also clearly the taiji technique known as "ji". 2. Arthur C. Clarke, “Profiles of The Future”, 1961 (Clarke’s third law). 3. In addition to being a giant of a man with enormous strength, Larsson’s Ronald Niederman also suffers from a condition known as Congenital insensitivity to pain, making him doubly challenging in a fight. Your discussion reminds me a lot of various fairy tales (Grimm's Tales for example) which always have some element of truth that is interwoven into the magic of the story telling. Whilst the fairy tales were generally cautionary tales about the dangers of certain situations, in either example, there are lessons to be learnt if you look for them. Just a quick note to say I've recently run across your blog and I'm very much enjoying reading your entries. As a very junior, novice student, I'm finding a lot of interesting reading here. Thanks! Thanks Eric, I appreciate your support! Another great post Dan, an interesting topic that doesn't get discussed enough. Strangely enough, my recent research has led me closer to believing in the actual literal truth of such legends. That's because Chi Gong has shown me at least one way someone could get the power for such feats, on a conscious level. Before, it was simply free energy and perpetual motion (does not exist for mortals). As for which legends I believe in, that's not something I've decided upon. It's too premature for this judgment if one still lacks sufficient mastery of chi gong. Currently it has simply made the feats of impossibility, just possible to my eyes. Possible. 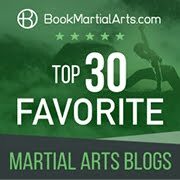 To take one, low and easy to achieve feat, have you looked at how Shaolin monks do external training using a combination of muscle power and chi gong? That's certainly one way to demonstrate power and legendary feats, but even that is at the very low end of what is possible. Although I understand what you mean, and I can see many stories easily becoming exaggerated into legends, I wonder about legends who lived only 100 years ago or less. 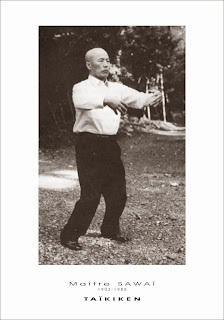 For example, Li Shuwen of Bajiquan, whose acts are supposedly recorded in the "Cangxian Zhi". Also, as Ymar pointed out, the training of the Shaolin. I watched a program called Fight Science, which in one episode challenged a Shaolin monk to put a sharp spear (they tested it) against the hollow of his throat (they put a pressure sensor somewhere), and cause it to bend without letting him pierce it. They said that the hollow is a place where you cannot build up any bone or muscle. The monk successfully bent the spear a huge amount without piercing himself, and the force levels were huge. (If you were in America, you would be able to watch this on Hulu). The biomedical engineers had no explanation for this. Also, on a more humorous note, you talked of people jumping up onto rooftops... hey, Jackie Chan does that without wires (I can't remember which art he learned, but he also was in a circus), and there are many traceurs (parkour people) who do that. So, at least that part of your childhood wide-eyed wonder can be satisfied. Here's the clip from "Fight Science"